We do not have time for Back Pain. But, unfortunately, there is a good chance we will all experience back pain sometime in our lives. The good news is that most episodes of back pain are not serious and resolve over time. 1. Have you had a serious fall, or injury? If yes, there will be suspicion for potential break to the bones, or a significant traumatic tissue injury. Depending on your complaints, your physician may order diagnostic tests such as x-rays or MRI’s. If not, these tests may not be necessary in the short run, as you may improve, and not need them. 2. Do you have any history of cancer? Unfortunately, people with a prior history of cancer may have back pain secondary to recurrence. If you do have this history, and the pain does not improve within a few days, you should consider followup with your physician. 3. Are you experiencing fevers, sweats, or chills? 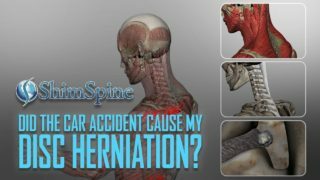 In rare instances, this could mean an infection causing your back pain. People with prior histories of other infections, cancer, diabetes or any immune compromise disorder need to be aware of this possibility and should contact their physician. 4. Are you experiencing inability to control your muscles, or lose control of your bladder or bowels? This is sometimes very embarrassing for patients to discuss. But, if you are definitely losing control of your bodily functions and soiling yourself, you need to contact your physician immediately, or go to the emergency room for an evaluation. Sometimes back pain is a side effect of a significant nerve compression in the spine. The nerves can be permanently irritated causing permanent loss of muscle strength, or bodily function. While some functions ultimately recover, the nerves to the bladder and bowels are more sensitive and need urgent evaluation to determine the cause of the lack of control. If it is a nerve compression, aggressive measures including surgery may be necessary. Fortunately, most episodes of back pain do not have the associated problems above. More typically, a person does not really even recall exactly what caused the back pain. It can be something as simple as reaching for your shoes, or twisting in bed. Many people describe back pain in terms of “wrenching the back”, or lumbago. 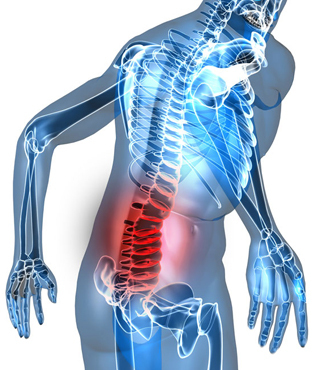 Often times back pain is associated with a listing to the side, or spasms with restriction of motion. In the end, as long as you are not experiencing excruciating and progressive pain, you can usually wait, slowly stretch, take over the counter medications such as tylenol, and ice the area until you recover. If however, the pain lingers for more than a few days, a visit to the doctor may be beneficial. Often times, your doctor will obtain a detailed history, and once it becomes apparent there is no significant concern, will counsel you on stretches, medications, mild muscle relaxers, ice, and time. It can be frustrating, and we know we do not have time for back pain, but time will heal the back. Then, your physician will counsel you on ways to prevent recurrence, or techniques to reduce the duration of back pain. In the end, for most people, back pain will resolve. 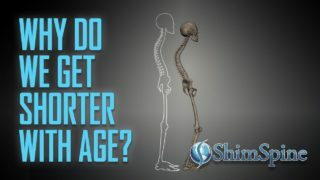 To prevent or minimize future episodes, you should speak to your doctor about preventative techniques and regimens.